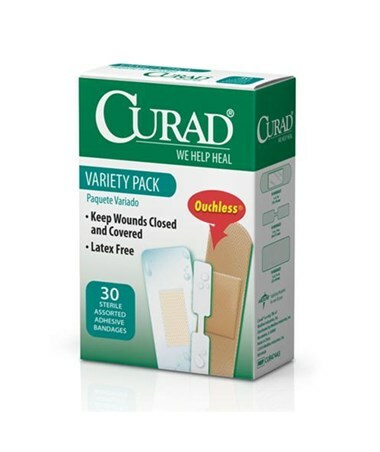 10 Comfort Fabric Bandages: .75" x 3"
10 Butterfly Bandages: 1.75" x .375"
10 Clear Waterproof Bandages: .875" x 2.187"
Curad's convenient Variety Pack Adhesive Bandages includes three sizes that will protect different types of wounds. 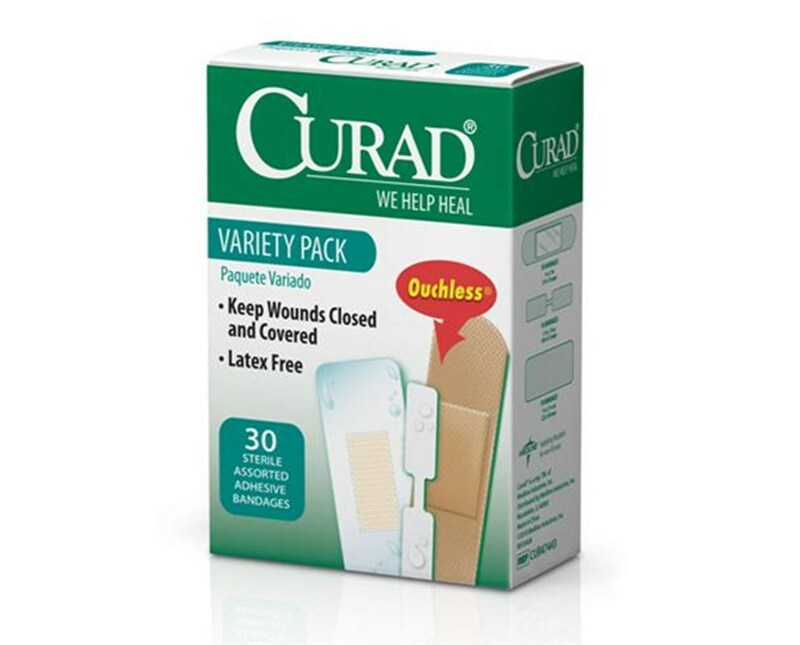 Each box contains 10 each of: Curad Butterfly Bandages to keep open wounds closed; Curad Clear Bandages to provide complete waterproof protection; and Curad Comfort Fabric Bandages for soft, breathable coverage. All 3 types are sterile and latex-free.